I hope everyone has recovered from the Christmas holidays. I am still trying to get caught up. I want to apologize if I haven't commented on your post. I love to visit, and leave comments. The holidays and family still here from out of town have really slowed me down. So far I haven't marked one thing off my long to-do list during my Christmas Vacation! My poor closets really need my attention! :) I still have next week. Here are the wonderful features from last week! Wow, I thank you so much for linking up during such a busy time!! This will be the last of the Christmas post until next year. Don't forget to pin your favorite Christmas posts for next year! Please pin from the original blog post! 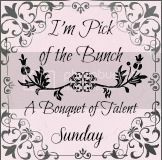 I hope to see everyone at A Bouquet of Talent tomorrow. If your like me, and haven't had time to finish any new projects, link up your favorites from this past year!! Purple Hues and Me created these adorable trees. They are both fabulous! 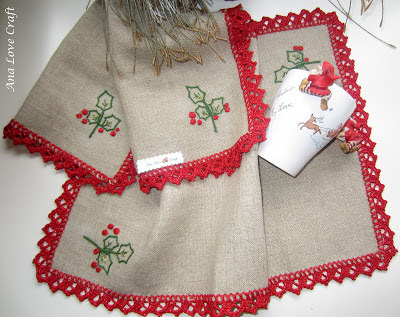 Ana Love Craft shared her beautiful crochet work. So pretty! 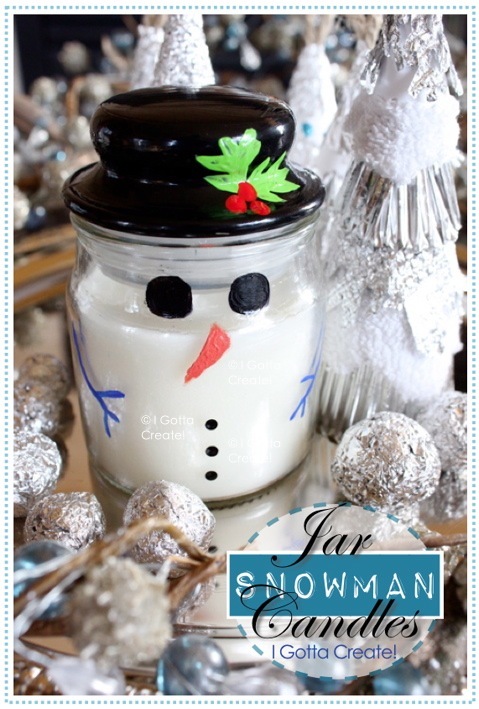 I Gotta Create shared her adorable Snowman Jar Candles. These would make fabulous gifts! 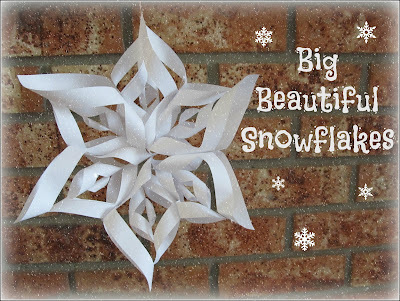 The Pin Junkie shared her gorgeous 3D snowflake! 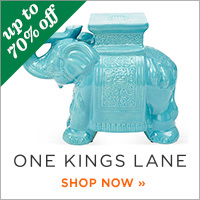 Perfect for your winter decor. 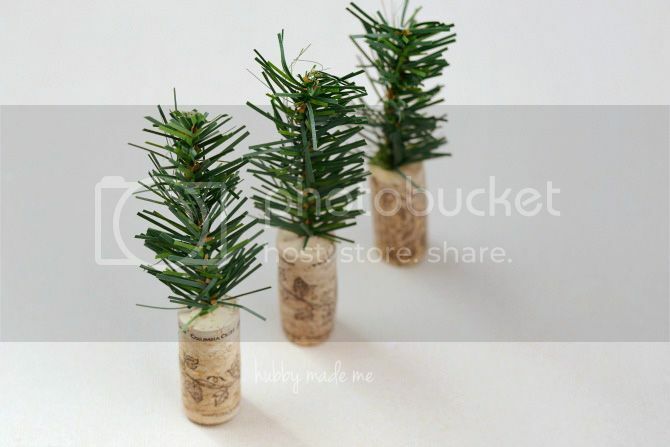 Hubby Made Me made these adorable Mini Cork Trees. These are just too cute! 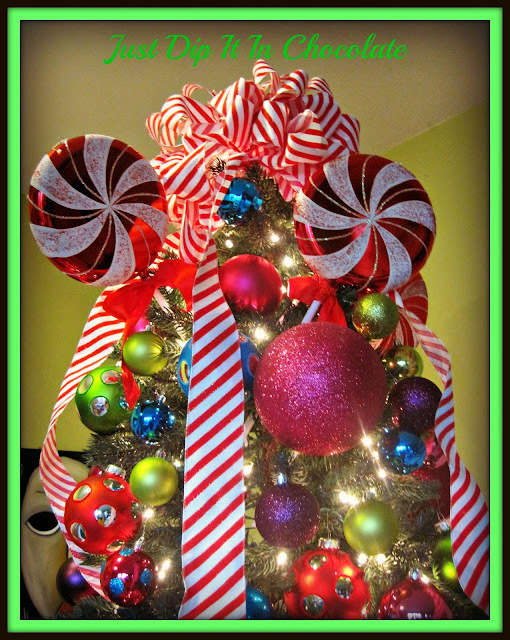 Just Dip It In Chocolate shared her beautiful Candy Themed Christmas Tree. I love it. 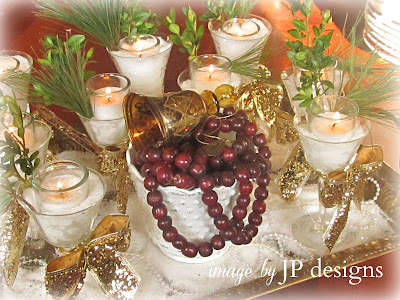 JP Designs shared her beautiful candlescape! That would look so good on my coffee table! The Enchanting Rose created these gorgeous Glass Beaded Votives. Beautiful!! Tagana Rose created these awesome Paper Dress Form Gift Tags. Baby List created this beautiful Pottery Barn Inspired Baby Mobile. I love the colors! Pinkie for Pink made these so yummy S'More Brownies! Gumballs and Cotton Candy shared this fabulous recipe for Grandma's Carrot Orange Cookies. Jazzy Gourmet made this beautiful and delicious Holiday Spinach Bread Wreath with Cranberry Spinach "WOW" Dip! Wow!!!! Thank you so much for taking the time to share your awesome talent with us each week! See you tomorrow at the party!! Have a wonderful weekend. Thank you, thank you, thank you Kathy! 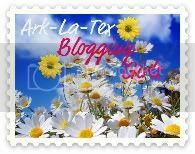 What a surprise to see my cone trees featured on one of my favorite blogs. What an honor! I've been taking some down time, trying to get adjusted to my son moving back home, feeling kinda of . . . I don't know what I'm feeling, but low and behold, I see my trees and I'm perked up! Thanks, again and Happy New Year to you!!! 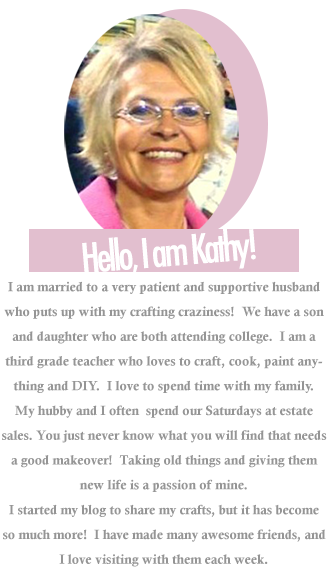 Great features Kathy! I like all of them but really love those dress form tags. So cute. Have a wonderful New Year! You are so sweet to like my Holiday Candlescape enough to honor it with a feature spot...Thank you for taking the time to do everything that is involved with this post, it is truly appreciated! Congrats to all of the other honorees! Bless you bless you bless you, Kathy! You're the best! 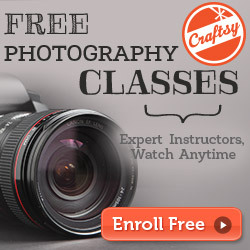 If I could only be so crafty! :) Fellow teacher as well (2nd grade) and newest follower! 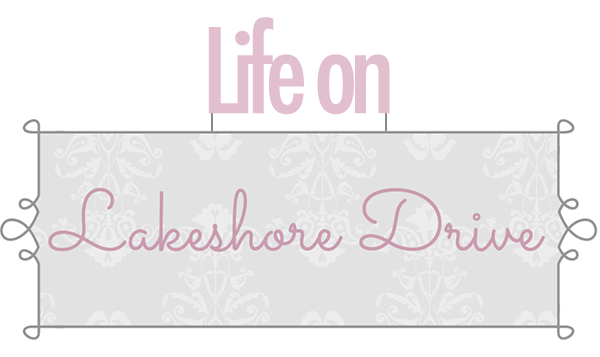 Can't wait to see what is in store for 2013!! I love good recipes and DIY projects for the hubby. You are so welcome, Gail! I love them both! I am so happy the feature perked you up! :) I totally understand the adjustment to your son moving back home. We did that in August, and it is a super adjustment. Hope everything works out soon. Wishing you the best New Year Ever!!! Thank you, Peggy! I am finally back from my holiday break. Trying to recover now. :) Wishing you and your family a very Happy New Year!! You are so welcome, JP! I love your tablescape. So beautiful!! Happy, Happy New Year!!! You are so welcome, Sherry! I love it! نقدم لكِ سيدتى 11 كيفية للتخلص من النمل , اختارى الكيفية التى تناسبكِ و تجدينها سهلة ثم اخبرينا بالنتيجة فى التعليقات.